Don't let the fancy pants title fool you. 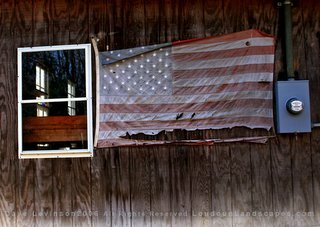 This is a photograph of a small barn with a flag nailed to the outside of it. 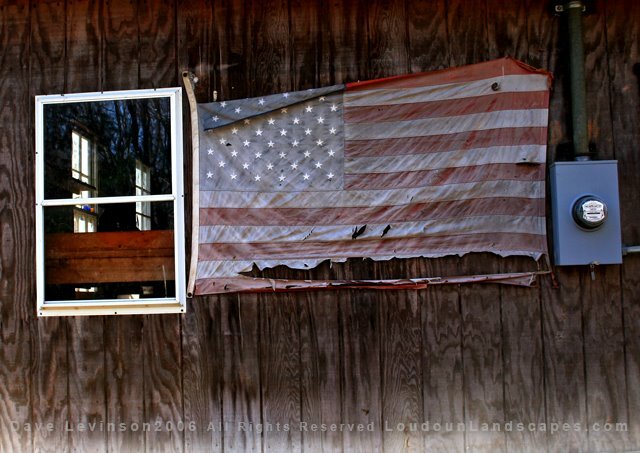 A window does not promise vision, a flag does not ensure glory and power cannot be metered enough. I really like this one. It's very moving and the write up says it all!